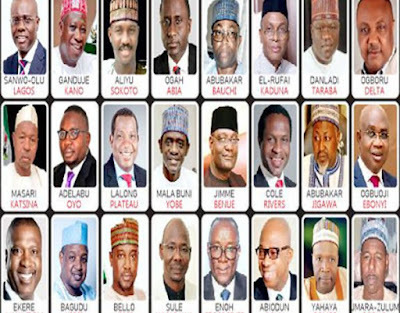 The coast is clear for 24 members of the All Progressives Congress (APC) to contest the March 2, 2019 governorship election on the platform of the party after its National Working Committee affirmed their nominations during this week’s primaries. 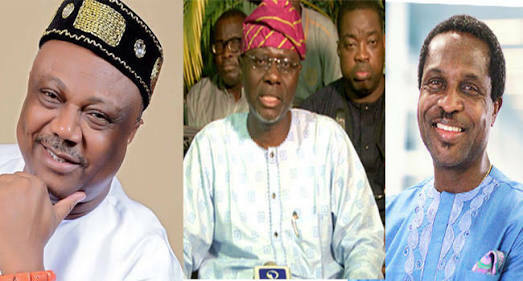 who have started bombarding the APC leadership with protests and calls for an immediate review. Governor Nasir el-Rufai of Kaduna State remained vehement yesterday in his opposition to the automatic ticket given to Senator Shehu Sani by the party to contest the Kaduna Central seat. Emerging from a meeting with President Muhammadu Buhari where he apparently sought to reverse Sani’s nomination, the governor said Buhari was against giving automatic tickets to aspirants. He claimed the President promised to wade into the various issues of automatic tickets granted to some politicians in some states. The 24 governorship candidates approved by the APC NWC include Mr. Babajide Sanwo-Olu (Lagos State), Governor Nasir El-Rufai (Kaduna), Gov. Abdullahi Umar Ganduje (Kano), Governor Simon Lalong (Plateau), Governor Mohammed Abubakar (Bauchi), Governor Abubakar Bagudu (Kebbi) and Governor Aminu Bello Masari (Katsina). Others are Governor Mohammed Badaru Abubakar (Jigawa), Governor Abubakar Sani Bello (Niger), Ahmed Aliyu (Sokoto), Prof. Babagana Umara-Zulum (Borno), Abubakar Sule (Nasarawa), Emmanuel Jime (Benue), Tonye Cole (Rivers), Uche Ogah (Abia), Nsima Ebere (Akwa Ibom), Adebayo Adelabu (Oyo), Dapo Abiodun (Ogun), Great Ogboru (Delta), Senator John Owan Enoh (Cross River), Inuwa Yahaya (Gombe), Senator Sunny Ogboji (Ebonyi) and Sani Abubakar Danladi (Taraba). The party’s decision effectively rules out Mr. Isiaka Akinlade who won a parallel primary by a faction of the party loyal to Governor Ibikunle Amosun of Ogun State and Mr. Magnus Abe who was nominated by his faction of the party in Rivers State. APC said in a statement in Abuja that the clearance followed the adoption of the report of the various electoral committees sent to conduct the primaries in the various states. A few hours after the APC announcement, the chairman of its Primary Election Committee in Enugu State, Prof. Moses Momoh, declared Senator Ayogu Eze the winner of the primary. Eze beat four other aspirants by polling 53,967 out of the 66,122 votes in the rescheduled primary. The governorship primaries for Kwara and Adamawa states are yet to be held while those of Zamfara and Imo states were cancelled for irregularities. One of the contestants for the APC governorship ticket in Ogun State, Mr. Jimi Lawal, yesterday called for the outright cancellation of the result of the primary that produced Prince Dapo Abiodun as the party’s candidate. Lawal, in a petition to party chair Comrade Adams Oshiomhole said the panel sent to the state to conduct the primary shirked its responsibilities. He said that owing to delay in the arrival of the panel, a meeting between the panelists and aspirants did not begin until about 10.35 pm. His words: “No sooner than the meeting started at about 10.35 pm, after introduction and setting of agenda, a fracas occurred which we later understood to be a street fight between two gangs: one accompanied Prince Dapo Abiodun and the other being that of Adekola Akinlade, which led to the arrest of a couple of those of Prince Dapo Abiodun. He said it was obvious to all that the direct primary approved for the state never took place and that the result announced by the Senator Gbenga Aluko-led panel was a nullity. Contacted about the complaints, Nabena told newsmen that all those who have complaints about the conduct of the primaries still have an opportunity to direct such to the Appeals Committee set up by the party. He also said aspirants who are not satisfied with the decision of the party on the list of governorship candidates are free to forward their appeals to the party’s National Working Committee. A similar protest came from Senator Magnus Abe whose nomination by his faction of the party in Rivers State was rejected by the APC leadership in favour of Mr. Tonye Cole. The former Secretary to the Rivers State Government (SSG) said: “We are preparing our petition which we will send to the Apeals Committee. “I have nothing against Architect Tonye Cole (co-founder of Sahara Group, who emerged last Sunday through indirect primary election). He is a friend and he remains a friend. But as politicians, we are fighting the fight based on justice and based on our commitment to truth. There are certain things that cannot change except there is justice. “This is a situation that we warned about since two years ago when the Minister for Transportation, Rt. Hon. Chibuike Rotimi Amaechi, called a meeting of this party and started threats that snowballed into the current situation.